John Kagel is University Chaired Professor of Applied Economics and Director of the Economics Laboratory at the Ohio State University. He also holds a faculty appointment in the Mershon Center for International Studies at Ohio State. He is a Fellow of the Econometric Society and past President of the Economic Science Association (aka Society for Experimental Economics). He has served as a panelist for the National Science Foundation in the Economics Division and in the Decision, Risk and Management Division. He has served on the editorial board of the American Economic Review and currently serves on the editorial boards of the American Economic Journal: Microeconomics and Experimental Economics. He has won outstanding research awards at the University of Pittsburgh and Ohio State University. Professor Kagel’s research interests currently focus on group decision making and learning in strategic interactions between agents, auction design and performance, industrial organization issues, and legislative bargaining. He has done notable research on individual decision making and on the intersection between economics and psychology. He belongs to the core group of pioneers who have established experimental economics as a standard methodology of research and teaching in economics. His has published over 90 articles in peer reviewed journals including the American Economic Review, Econometrica, Journal of Political Economy, Quarterly Journal of Economics, Psychological Review, American Political Science Review, and Management Science. 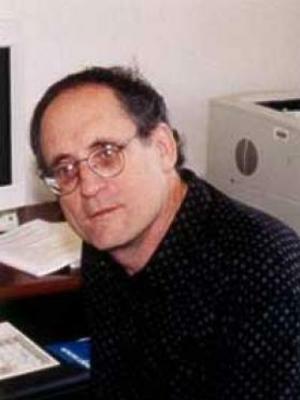 He has six co-authored monographs, including the highly influential Handbook of Experimental Economics (Princeton University Press, 1995) co-edited with Alvin Roth. His most recent book, Common Value Auctions and the Winner’s Curse (Princeton University Press, 2002), with Dan Levin has been translated into Chinese. Dr. Kagel’s recently published research includes studies of package bidding in auctions versus Federal Communications Commission style auctions, team versus individual decision making in strategic interactions involving costly signaling between agents, auctions with resale, and public versus private good provision in legislative bargaining. He has lectured on experimental economics at the Federal Communications Commission and on auctions at the Utility Regulatory Commission of the State of Ohio. He has done consulting work on auctions, anti-trust litigation, and patent infringement litigation.